This dream is quoted from Ira Berlin’s Slavery in New York. 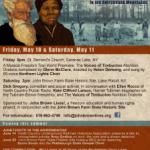 The Montgomery County Department of History &amp- Archives and the Montgomery County Historical Society at Old Fort Johnson in Fort Johnson, NY, will be holding a book discussion series for the months of February, March and April, 2013. The theme for the series focuses on slavery. Limited copies of each book will be available on loan for participants to read for the book discussions. The first book is Ira Berlin’s Slavery in New York (2005). Amazon.com’s book review says &#8220Published to accompany a major exhibit at the New-York Historical Society, the book demonstrates how slavery shaped the day-to-day experience of New Yorkers, black and white, and how, as a way of doing business, it propelled New York to become the commercial and financial power it is today.&#8221 The book discussion will be held on Wed., Feb. 13th 2013 from 10am until noon. The second book is Henry Wiencek’s An Imperfect God: George Washington, His Slaves and the Creation of America (2003). A review at Amazon.com indicates that &#8220Wiencek’s revelatory narrative, based on a meticulous examination of private papers, court records, and the voluminous Washington archives, documents for the first time the moral transformation culminating in Washington’s determination to emancipate his slaves.&#8221 The discussion for this book will be held on Wed., March 13th 2013 from 10am until noon. The third and last book for this series is Nick Salvatore’s We All Got History: The Memory Books of Amos Webber (1996). 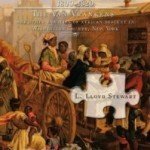 Amazon.com describes We All Got History, in which &#8220we see Webber working as a janitor- rescuing fugitive slaves on the Underground Railroad- marching triumphantly into Richmond with the Fifth Massachusetts Cavalry- and active in the religious and fraternal organizations that became the cement of the African American community. What emerges from this moving history is not only a picture of Webber the man, but also of the vibrant African American culture that nurtured him.&#8221 Copies of this book will be available for loan beginning March 1, 2013. The discussion will be held on Wed., April 10th 2013 from 10am until noon. In the event of inclement weather, the book discussion will be rescheduled. Please call the Dept. 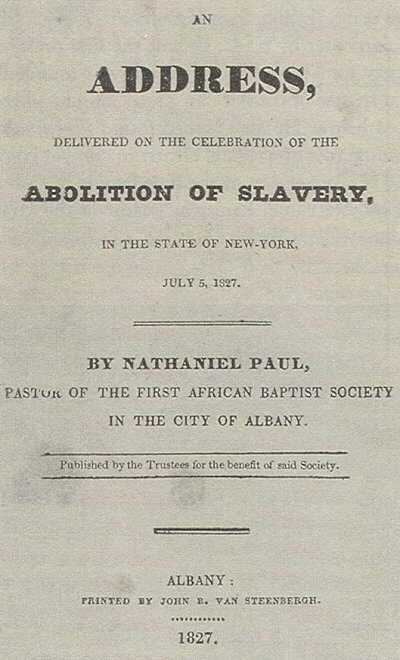 of History &amp- Archives at (518) 853-8186 for more information. Anyone wishing to participate in any of the book discussions can reserve and pick up their borrowed copy at the Department of History &amp- Archives in the Old Courthouse at 9 Park St., Fonda. Books must be returned at the conclusion of each discussion.